The implementation of National Transformation Program and Saudi Arabia Vision 2030, growing construction sector and increasing number of schools, hospitals, corporate offices and hotels have aided the demand for catering services in Saudi Arabia. 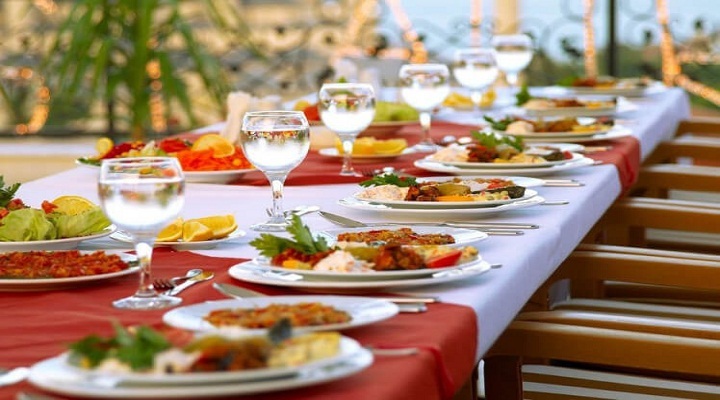 The report titled “Saudi Arabia Catering Services Market Outlook to 2021- Increasing Number of Religious Tourists and Growth in the Education and Healthcare Sector to Drive Future” by Ken Research suggested a robust CAGR of 7.5% in revenue of the Saudi Arabia Catering Services market by 2021 with changing customer preferences and infrastructure investment driving the revenues of this market in the future. The Saudi Arabia Catering Services Market has seen major share of demand from the hospitality sector as Saudi Arabia saw an increase in number of religious tourists and investment in developing the tourism infrastructure. The industrial and construction sector catering services demand increased as government took several initiative to revive the economy from the affect of falling oil prices on different parts of the market. The construction activities are expected to rise due to growing infrastructure investment. Saudi Arabian Railway Master Plan (2010-2040) will further augment industrial catering services market for labour camps. Moreover, programs such as Kafalah Loan Guarantee Program and National Industry strategy G2020 will increase construction activity. Recent times have seen a shift towards healthy foods and natural ingredients as lifestyle-related diseases, such as diabetes, cancer and blood pressure problems have increased. People are becoming sensitive regarding lifestyles and hygiene standards. This change is expected to re-shape the catering services in channels such as education, health care, business services, labour camps and hospitality. The Saudi Arabia education sector is expected to grow exponentially on the back of a rising population, increasing private sector participation and growing demand for skilled workforce. This segment is mainly served by the domestic catering companies. They primarily look for good quality food at competitive prices. Rising number of tourists in the country has also increased the airline catering industry as the number of passengers increased by 2.6% in 2016 as compared to 2015. Moreover, Saudi Arabia has a huge number of expatriates dominating the construction sector. This segment creates significant demand for catering services. Growing number of divorces has aided the growth of catering services as people remarry. The number of marriages in Saudi Arabia has increased by 18.0% in 2016. The catering industry also saw increasing use of technology and modern methods of production which include online ordering apps, vehicle tracking systems and inventory management platform. This helped in increasing the efficiency of various processes involved in the catering business. The popularity of fusion-food on the menu has grown in Saudi Arabia supported by growing multi-cultural society due to the presence of a large number of expatriates in the country. Catering services offered a blend of traditional and modern cuisine on their menus.